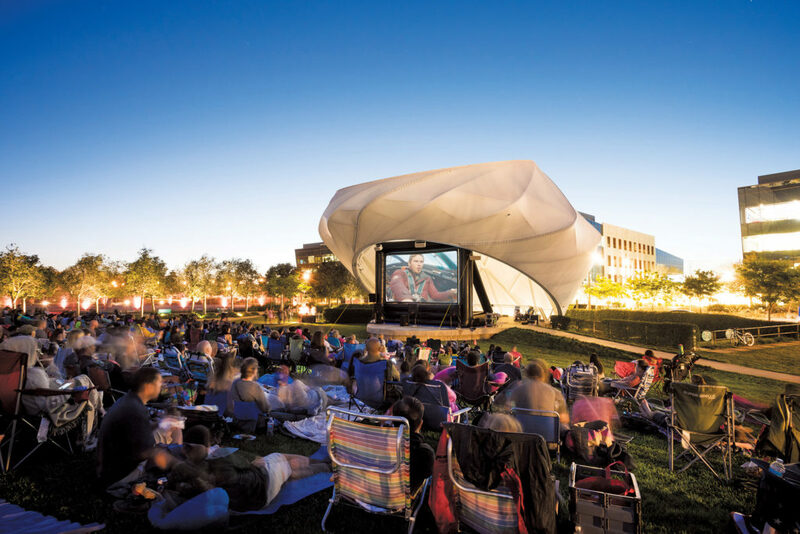 Below are our picks for the best local summer events, so make sure to mark your calendars! Head to the Dockweiler Youth Center for Fun-A-Palooza, a free family fun event featuring a petting zoo, bounce houses, rides, face painters, balloon artists, live entertainment and more. At the event, attendees will also have the opportunity to learn about the recreation programs offered at the center this summer. All guests will be asked to sign a liability waiver before enjoying the rides and attractions, so save time by visiting beaches.lacounty.gov and clicking on the Fun-A-Palooza flyer. For more info, call (310) 726-4128. Playa Vista’s Bandshell Park makes the perfect backdrop for an outdoor movie with your family. Photo Courtesy Playa Vista/Brookfield. Playa Vista has once again packed its summer schedule with free movies, concerts and events everyone can get excited about. 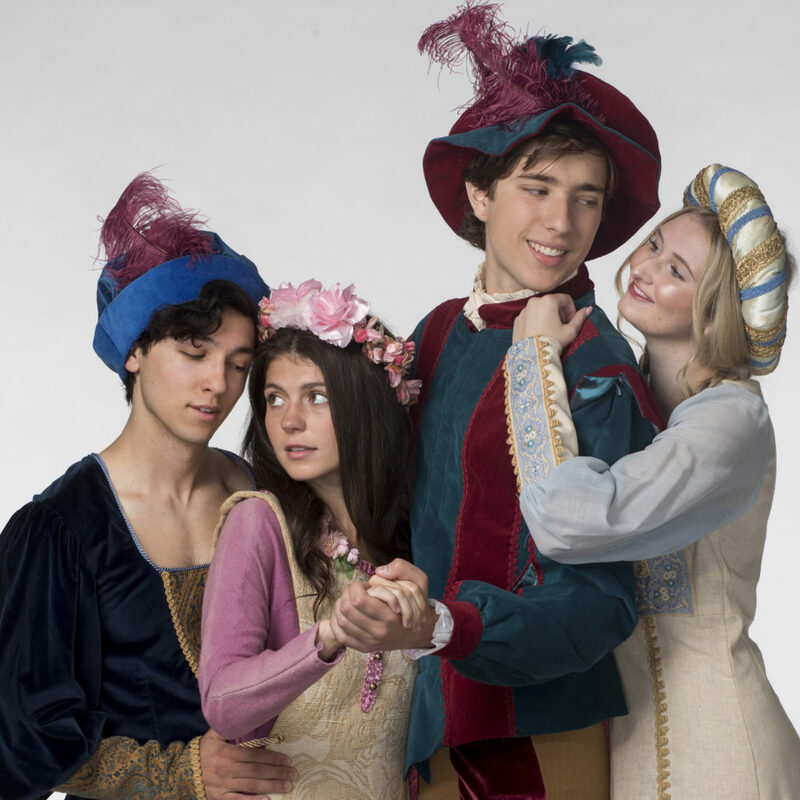 Budding thespians can also rejoice because, for the first time this year, Playa Vista and LMU will be hosting the community’s first Shakespeare in the Park events. As an added bonus, food trucks will have items available for purchase at the concerts, movies and Shakespeare events. Yoga For a Cause will also be popping up all summer long (June through August) on Saturdays from 9 to 10 am at Concert Park. Attendees are invited to bring their yoga mats and participate in the free classes that accept donations for local nonprofits. June events will benefit HomeAid LA; July events will support the Wounded Warrior Support Network and August class donations will go to A Place Called Home. Concert Park is located at Concert Park Drive and Runway Road; and the Central Park Bandshell is located at Waterfront Drive between Artisans Way and Campus Center Drive. For info on parking or using Playa Vista’s shuttle service, please visit playavista.com/events. The ChamberFest LAeXpo features community booths, family-friendly activities and a food court featuring 10 local restaurants, including Benny’s Tacos pictured here. Playa Vista’s CenterPointe Club will be transformed into a table top expo, “Taste Of” event and networking mixer at the annual ChamberFest LAeXpo. The community is invited to check out local businesses, try food from some of the area’s most popular restaurants, enter into raffles and take home giveaways at this family-friendly gathering. 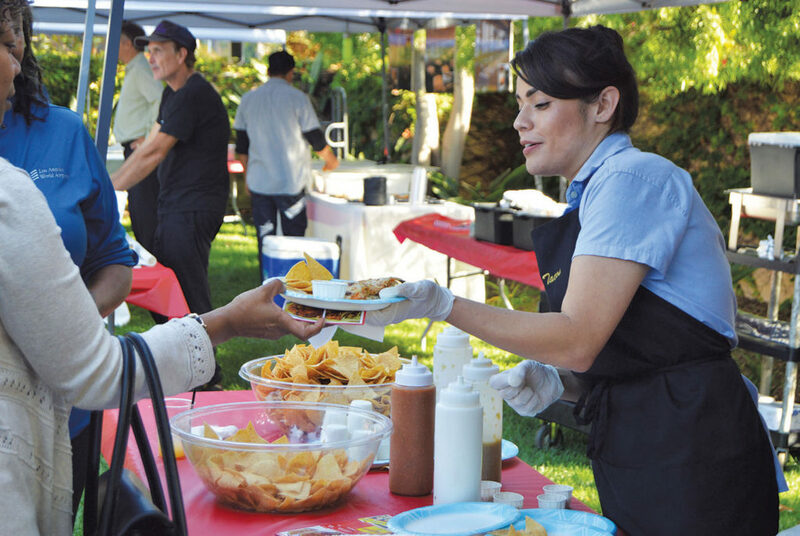 While the event is free to attend, tickets to the “Taste Of” event are $10, and this year’s restaurant lineup includes: Melody Bar & Grill, the Warehouse Restaurant, Benny’s Tacos, Tony P’s Dockside Grill and more. Raffle tickets are also available for purchase, with the grand prize being a ticket on Southwest Airlines. For more info, visit laxcoastal.com. St. Anastasia’s mascot, Peppy, rides in last year’s Fourth of July parade. Photo by Glenn Marzano. You’re invited to the 19th Annual LAX Coastal Fourth Of July Parade, celebrating “Cities Across America.” Community groups, marching bands, floats and classic cars will make their way down Loyola Blvd. from Westchester Park to LMU to celebrate America’s birthday with a hometown feel. their spots along the street, especially if you’re looking for a coveted place at center stage, located at 83rd St. and Loyola. Limited bleacher seating is also available on a first come, first served basis. Biking or walking to the event is encouraged. 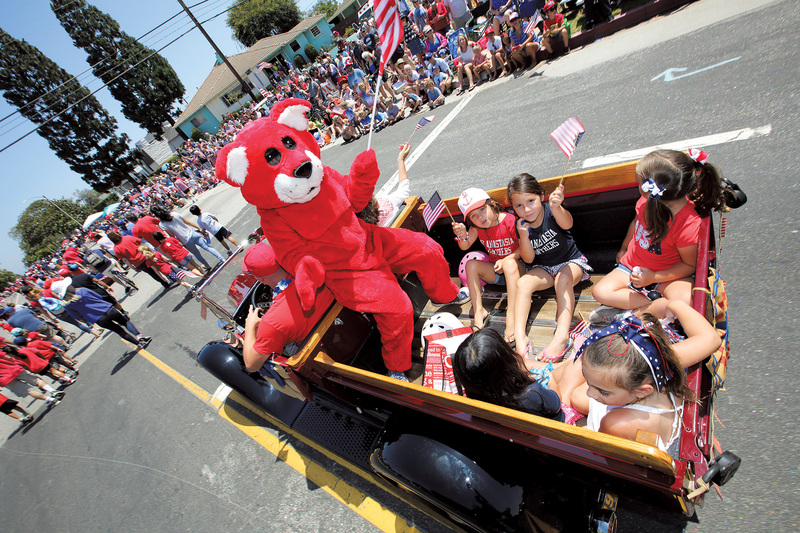 For more info, visit laxcoastal.com/parade and check out our July Parade edition, out Thursday, June 28. The Fourth of July wouldn’t be complete without fireworks, and Marina del Rey is hosting the biggest show on the Westside. The 20-minute fireworks show kicks off at 9 pm. Fisherman’s Village and Burton Chace Park are the recommended viewing locations, and both spots will feature music synchronized to the fireworks. 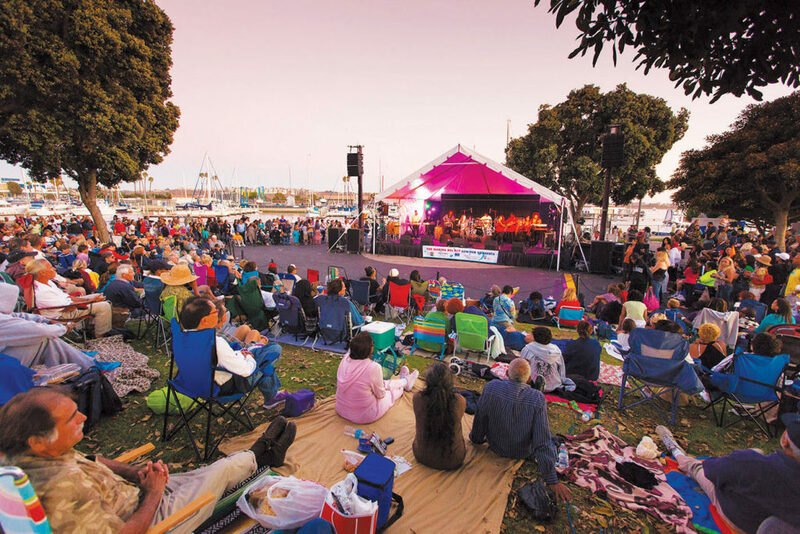 Thousands of people head to the Marina for this yearly event, so it’s recommended that you plan ahead to get there early (paid parking lots around the Marina tend to fill up early in the day and street closures generally start at 7 pm) or consider taking the WaterBus, The Beach Shuttle or use your favorite rideshare app. For more info and viewing locations, please visit visitmarinadelrey.com/events/july-4-marina-del-rey. Spectators enjoy a summer concert at Burton Chace Park. Photo courtesy visitmarinadelrey.com. Music lovers rejoice! Burton Chace Park will host some spectacular summer concerts starting in July featuring opera, classical, punk and pop. Whatever your musical preference, however, you’ll have a chance to groove on Symphonic Thursdays or rock out on Pop Saturdays. Attendees are encouraged to get to the park early, so grab your low-back chairs or blankets and your picnic basket. There’s no doubt you’ll enjoy the music while catching the sunset over the marina. For more info, please visit beaches.lacounty.gov/concerts. The inaugural Shakespeare on the Bluff will feature performances of “A Midsummer Night’s Dream” and “Othello.” Photo By Jon Rou. LMU Outdoor Movie Nights will screen sci-fi adventure, “Ready Player One,” at Lawton Plaza (next to the Hannon Library) on Friday, July 20 at 8:15 pm. Bring your blankets and chairs and LMU will provide the popcorn. Parking is free on the campus on the weekends. LMU is proud to present its inaugural season of Shakespeare on the Bluff with 90-minute outdoor performances of “A Midsummer Night’s Dream” and “Othello.” Presented by the College of Communication and the Fine Arts’ Theatre Arts Program, the plays feature professional actors, LMU alumni, faculty members and current students. “A Midsummer Night’s Dream” will be performed at 8 pm on Friday, June 29 and Saturday, June 30. “Othello” will be performed at 8 pm on Friday, July 27 and Saturday, July 28. For more info, visit cfa.lmu.edu/shakespeare. Stop by Westchester’s Fire Station 5 for a good old-fashioned pancake breakfast hosted by the Playa Venice Sunrise Rotary Club. Volunteers from the Marriott LAX will be serving up delicious pancakes (blueberry and chocolate chip varieties are also available), sausage, juice, coffee and fruit. Invite your friends and neighbors to join you for breakfast to discuss what’s going on in the neighborhood. Meanwhile, the kids can enjoy a bounce house, face painting, balloon animals, meet local fire fighters and tour the station. For more info, visit playavenice.org. RSVP for the second annual Silicon Beach Fashion Show hosted by the Silicon Beach Parents Group and Playa Vista Community Services and presented by Kris Zacuto of Hilton & Hyland. Held at the newly-renovated Concert Park, guests will enjoy a fashion show featuring the debut of Lorna Jane’s maternity line, Fi & Me, Dot Dot Smile and more. Pre-registered guests will receive a limited edition gift bag and a raffle ticket to win items including scooters, clothing and accessories. Volunteers are still needed to walk in the fashion show. Please email info@siliconbeachparents.com for details. Concert Park is located at Concert Park Drive and Runway Road in Playa Vista. For more info and to RSVP, please visit siliconbeachparents.com. 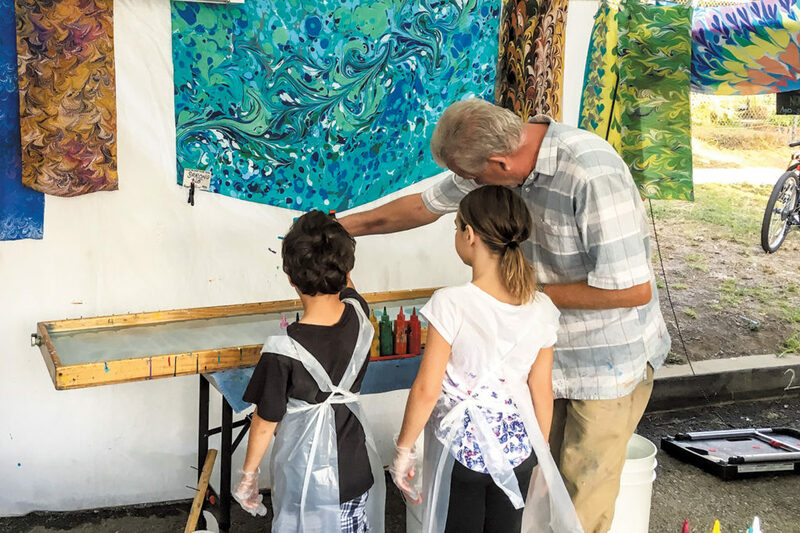 The 3rd annual Westchester Arts & Music Block Party (WAM) will take place on Saturday, September 15 and will feature live music, art and activities for the whole family. Photo by Greg Dina-Pham. Mark your calendars for an end-of-summer extravaganza at the Westchester Arts & Music Block Party (WAM) hosted by the Emerson Avenue Community Garden. This third annual event brings together live music, art, dance, community booths, kids’ activities, tours of the garden and more, all with a block party atmosphere. The event is free to attend, but food, beer and wine will be available for purchase. Emerson Ave. between 80th Pl. and 80th St. will be closed to street traffic during the event, allowing attendees to celebrate the last days of the season rocking out to music and enjoying art with hundreds of their friends and neighbors. While the 2018 lineup is still being finalized, you can sign-up for updates at wamblockparty.org. What’s on your must-do summer list? Let us know at westchesterhometown@yahoo.com or at facebook.com/thehtn.com!